Your child is beginning an important journey in life. 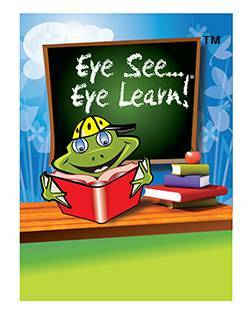 In order to improve his/her chances of success in the classroom, your child needs to have good vision. More than 80% of information that your child learns is presented visually. Good vision is also essential in sporting activities and can help improve socialization and self-esteem. Fact: Young children don’t know what normal vision should be and seldom complain to their parents. Some show no signs of a problem at all. Don’t guess. Have them checked. Fact: One in six children has a vision problem, but too often children don’t have an eye exam before starting school. Children don’t have to know the alphabet to have their eyes examined. Doctors of Optometry have many child-friendly ways to assess their vision. Fact: Some vision problems, if not caught early enough, can permanently reduce your child’s vision. Poor vision may limit their future career and educational opportunities. Fact: Children with poor vision may be misdiagnosed as having a learning or behavioural problem. Eye-coordination problems make it difficult for a child to read, perform near tasks or to concentrate on work. Book your child an Eye See…Eye Learn exam with our Doctor of Optometry. There is no cost to participate. Eye exams are covered by the BC Medical Services Plan. If glasses are needed, one pair is provided at no cost. Children in a Burnaby, New Westminster, and Coquitlam kindergarten classes currently who are eligible for this program will be given a 'Parent Letter' that will act as a voucher for a free eye exam (billed to MSP only) and a free pair of glasses. These letters are supplied by the schools and parents are to bring this in during the child's eye exam. If your child already has a prescription done recently by a BCAO Doctor of Optometry or Ophthalmologist, you may also bring that prescription for a free pair of glasses accompanied with the 'Parent Letter'.